A market occurs where buyers and sellers meet to exchange money for goods. 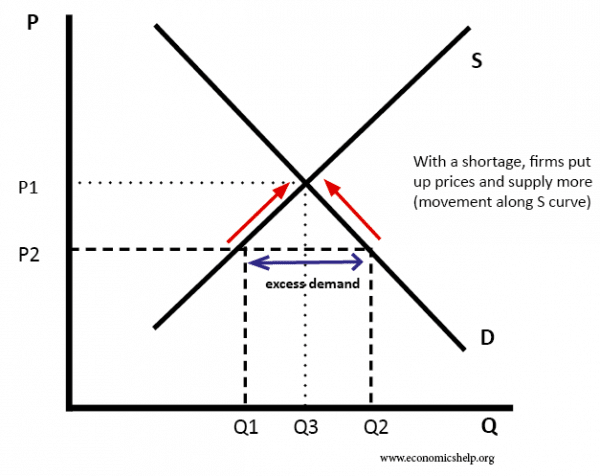 At most prices planned demand does not equal planned supply. This is a state of disequilibrium because there is either a shortage or surplus and firms have an incentive to change the price. 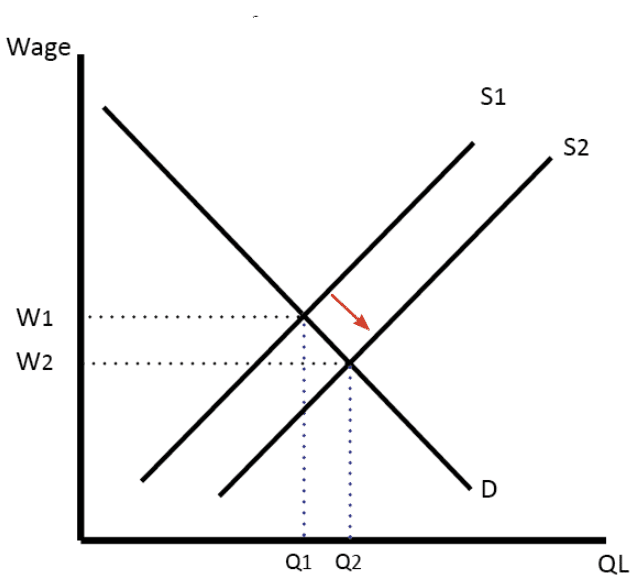 In the diagram below, the equilibrium price is P1. The equilibrium quantity is Q1. If there is a shortage, firms will put up prices and supply more. As price rises, there will be a movement along the demand curve and less will be demanded. Therefore the price will rise to P1 until there is no shortage and supply = demand. 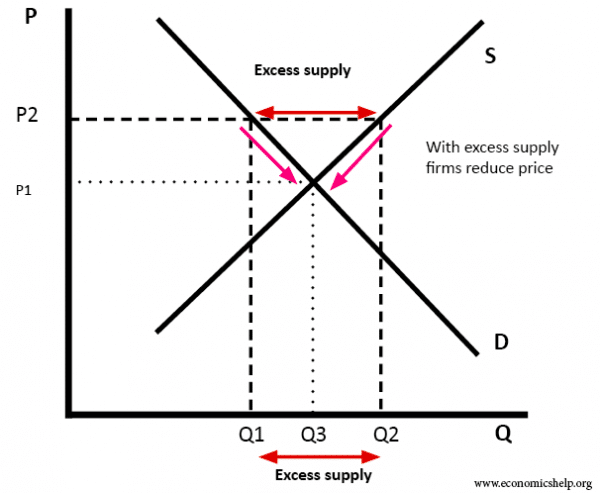 Therefore firms would reduce price and supply less. This would encourage more demand and therefore the surplus will be eliminated. 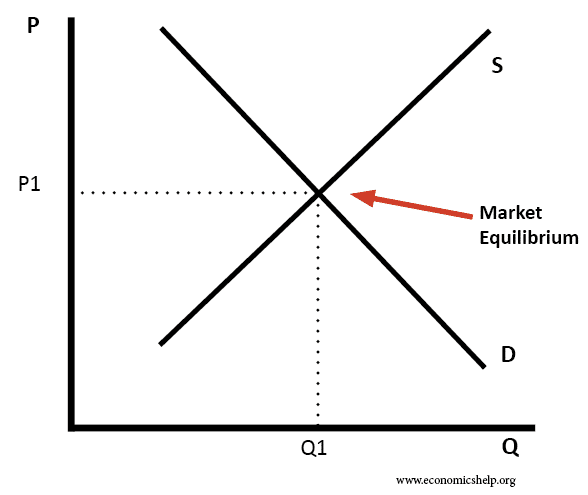 The new market equilibrium will be at Q3 and P1. 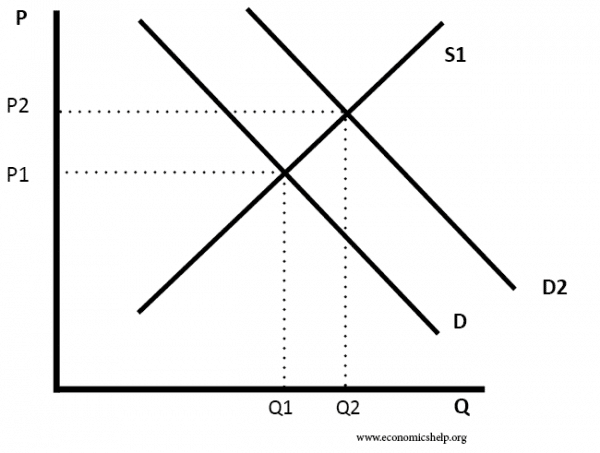 If there was an increase in income the demand curve would shift to the right (D1 to D2). Initially, there would be a shortage of the good. Therefore the price and quantity supplied will increase leading to a new equilibrium at Q2, P2. An increase in supply would lead to a lower price and more quantity sold.